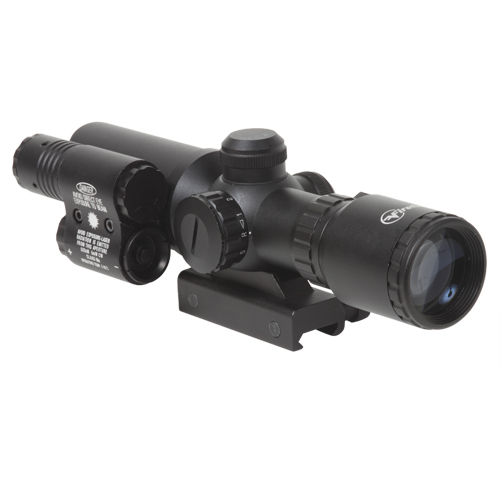 The 1.5-5x32 Riflescope with Green Laser from Firefield is a rugged and cost-effective optic for hunting rifles and carbines. 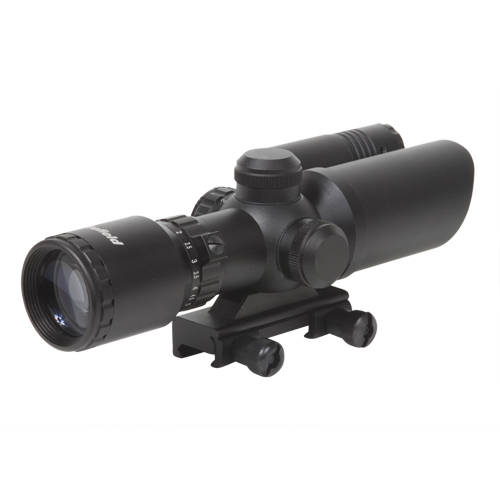 This scope is configured with 1.5-5x magnification, ideal for close and mid-range applications in the field or at the range. 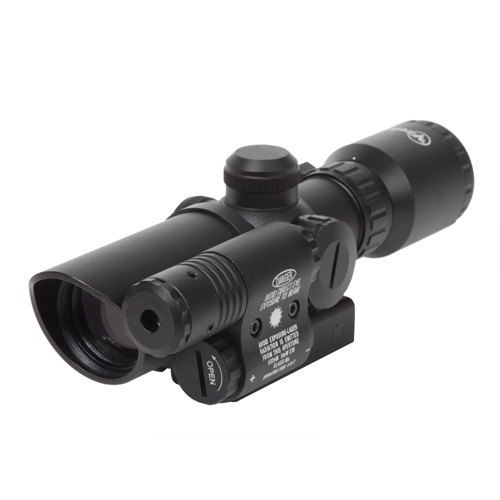 An integrated adjustable green laser makes precise targeting in low light a breeze. 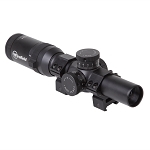 The nitrogen purged housing prevents the optics from fogging in harsh weather and extreme humidity, making this scope ready to handle a wide range of conditions. 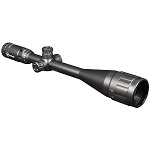 Finger adjustable windage/elevation turrets, an illuminated crosshair reticle, and a multicoated optics make this a full-featured riflescope for sportsmen and target shooters. Red and green selectable illumination colors will enhance the contrast of the crosshair reticle. 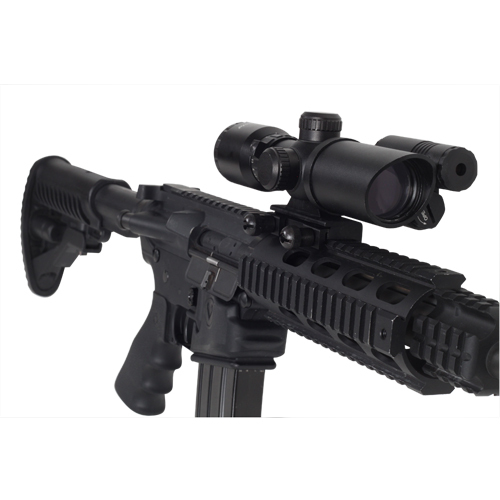 This feature is especially useful in low light conditions and multicolored landscapes that make it difficult for the shooter to confirm reticle placement. Red is highly visible against woodland landscapes while green is most useful at dusk and dawn. Five brightness settings allow shooters to further optimize the reticle illumination for their shooting conditions. 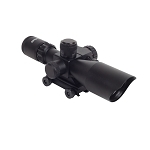 Rugged construction equips this scope for driving rain, extreme temperatures, and humidity. 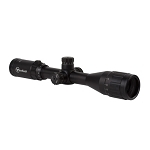 The shockproof frame welcomes a wide range of rifle calibers and delivers rock solid performance from one shot to the next.